September 19, 1982. 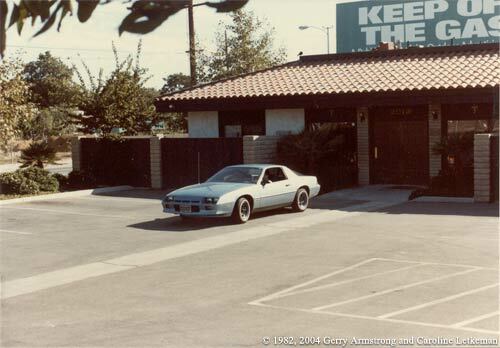 Photo of the Camaro in the chiropractic clinic parking lot adjacent to my home. Driving the car is the man who pushed me around on August 29, and in the passenger seat is the man who had been driving the Cadillac. The photo was taken from my property across my fence. September 19, 1982. Photo taken from the same place as the previous one, of the Camaro still in the parking lot. September 19, 1982. Photo taken from the same place in my yard. Here the driver of the Camaro has spotted me and is driving out of the parking lot. September 19, 1982. 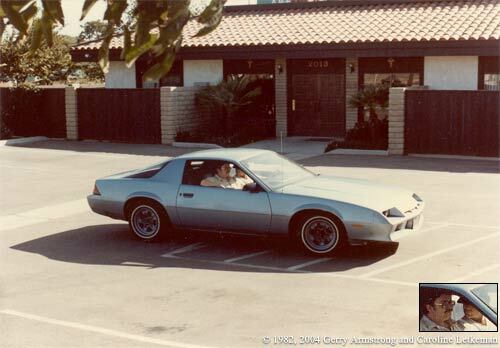 Photo of the Camaro leaving the chiropractic clinic parking lot. The man in the passenger seat is looking back at me while I take his photograph from my yard. September 19, 1982. 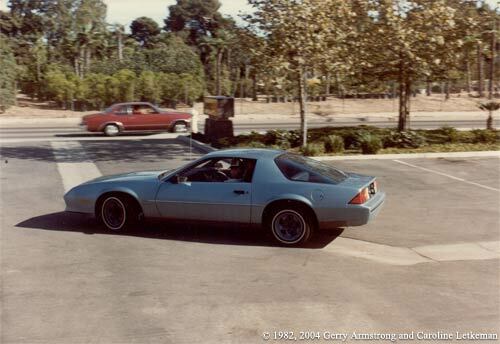 Photo of Camaro taken a short time later after leaving from and returning to the chiropractic clinic parking lot. The car was driven very close to the fence between my yard and the parking lot, and both men peered between the boards of the fence at my car and trailer. The following continued through this day. 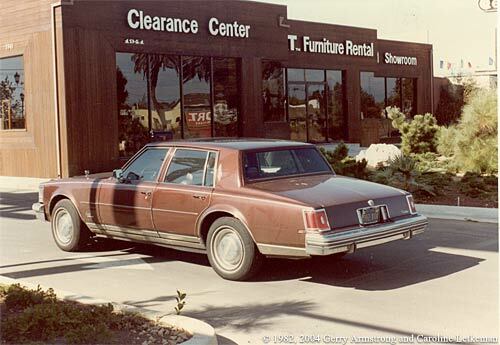 The cars in use were the Camaro and the Cadillac. Drivers were Cad and the Pusher.In the early afternoon Camaro drove into the chiropractor parking lot adjacent to my wife’s and my trailer. In the car were Pusher driving and Cad in the passenger seat.They drove up close to the fence and peered through cracks in it. I got my camera and took several photos of the Camaro in the parking lot. Following continued into the night. September 18, 1982. Photo of the Cadillac, license #082 XQV, parked a short distance from my home. The driver was not present at the time I took this shot. 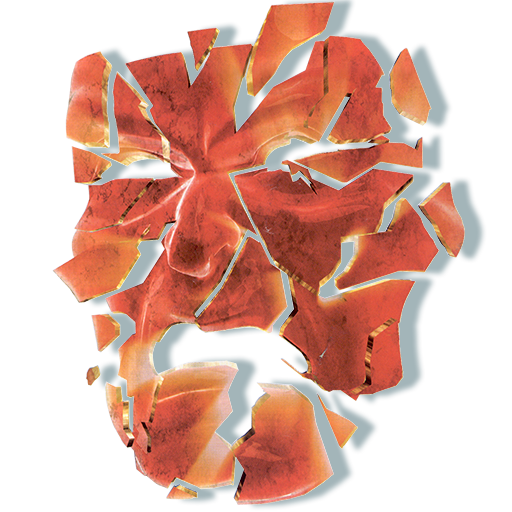 The following began first thing in the morning and continued throughout the day. Wherever my wife and I went one of the followers, either Cad in the Cadillac or Gregory Osbourne in the Camaro was there: shopping, shoe repair shop, post office, car repair shop. At one point my wife and I pulled into the shoe repair shop. The Cadillac pulled a U-turn in the middle of the street to follow us. The driver, Cad, was ticketed by an officer Cisneros of the Costa Mesa police. This was the second time one of my followers was stopped or ticketed by the police and only one of many traffic violations. I explained this to Officer Cisneros, and also informed him about the harassment that was going on with the people paid by Scientology. 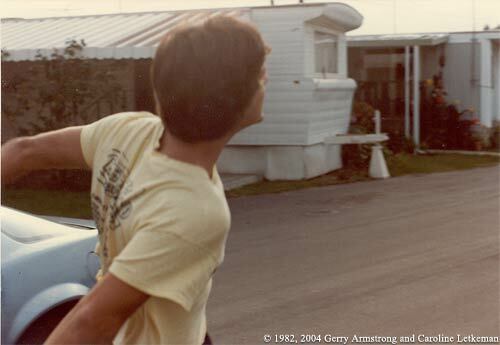 Also that day I spoke with Gregory Osbourne in order to get his agreement not to come onto the trailer park property because it upset the residents. During our conversation he said that when he was briefed for the job of following me that he had been told that I was involved in criminal activity and that I could be going to jail. He was also briefed that I was part of a large group who were involved in the theft of documents and he was to watch for anyone else I met. These “facts” he was briefed on are false and are simply another evidence of harassment and Fair Game Doctrine by Scientology. September 17, 1982. 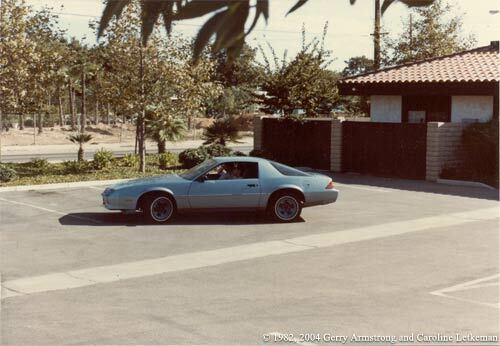 Photo of the Camaro, license #1EYL256, driven by Mr. Osbourne. 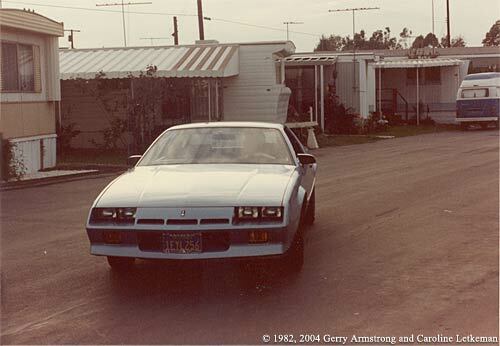 The car is on the property of the Ponderosa Mobile Estates, the trailer park where my wife and I lived. September 17, 1982. 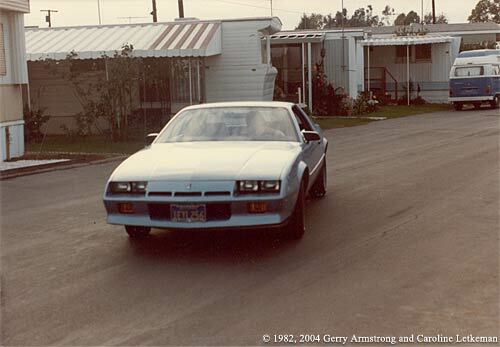 Second similar photo of the Camaro and Mr. Osbourne on the Ponderosa Mobile Estates property. September 17, 1982. 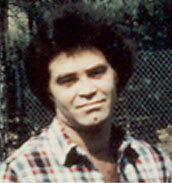 Photo of Mr. Osbourne outside his car on the trailer park property. When I attempted to take his photograph, he turned his head away from me and charged at me. Friday afternoon I had a luncheon engagement with one of the owners of the attorney firm where I work and a client. I noted that we were followed by the man I earlier referred to as Blondie in the beige Ford pickup, license # 2A64702. I did not inform the persons with me about the incident because it is an embarrassment. The only motive for this could have been harassment, and an attempt to get me to lose my job. This is a pattern of Hubbard’s for years. After work my wife and I were followed by the blue car (I believe it’s a Camaro) license #1EYL 256. Around 6:00 p.m. this car driven by Gregory Osbourne came right onto the trailer park property. 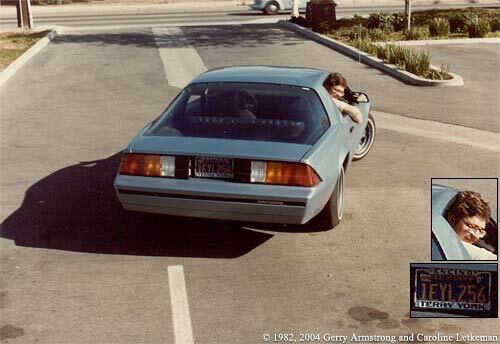 I blocked the driveway with my car and took a number of photographs of Mr. Osbourne and the car on the property. I informed him that he was on private property, that his people had been informed to not come on the property, and that residents had become upset with the driving around the park. He became very upset when I took his picture and again ran at me as he had the previous week. That evening when my wife and I went out for a meal we were again followed. In that the following and harassment steps up radically every weekend, it is further evidence that the only motive for it is harassment. Scientology is paying these people to prevent my wife and me from enjoying our weekends. Additionally everything we do is going into B-1 intelligence files so that some day Hubbard can engineer a hit.